Palm fronds do not consult with one another in advance before sprouting. An instinct of a mad man tells him when car is coming to his way, he run fast and faster like a furious 7 movie. Perhaps, a mad man knows where to hide when the rain is falling. A squirrel that would climb plantain stem would have sharp paw nails. Freedom can never be bought easily, it requires sacrifices, it worth fighting for. Not with guns or machet, but with intellectuality. I owe myself a heaven I dream for, I owe myself the society I believe in. Family head in whose charge the family collapsed or became desolated is to be blamed. As a Nigerian, my right is my freedom and my freedom is my wealth. No country on Earth, that would enjoy the atmosphere endowment blessing of her country without having freedom of living. 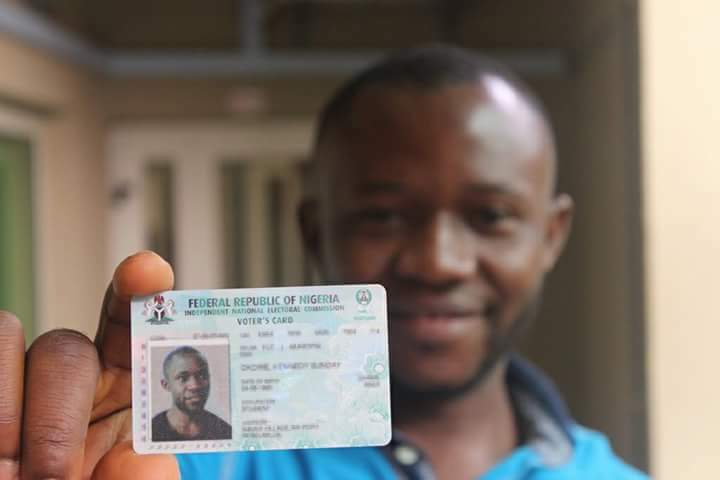 My PVC is my heaven, I owe myself and my society a debt to be paid by PVC. The youths has create a malediction upon themselves from a decade. 2019 is around the corner, the swindlers are now making consultation, visitation to all groups and youth leader for 2019 negotiation. Yes youth are the architect of giving society and national builder’s of a Nation. Remember that our right is our freedom. The Doom of democracy is enough experience for us to learned. Hurried quest does not translate to wealth and working like a slave often achieves nothing. No any prebendals that are enjoying from the honey pot of Nigeria coffer would allowed to be defeated come 2019. Our PVC is now our heaven, father should not hesitate telling his wife to get her PVC, boyfriend should not also hesitate telling his girlfriend to get her PVC. Imam’s and pastor’s should tell their followers to get their PVC because Nigeria battle is PVC battle not bloodshed. Nigeria is not a Nation of slavery zone. Our sleepless nights to make us own our heaven by getting our PVC automatically guarantee us a better future come 2019.